It was another evening of American Idol performances and those crazy judges. First of all, Melinda Doolittle so totally won. Like last week she won. 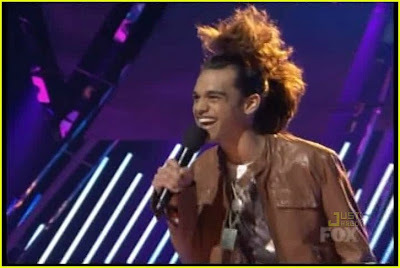 Secondly, Sanjaya Malakar actually got really great comments from the judges about his performance (video below). Randy and Paula remembered that he could sing. The hair? No comment.